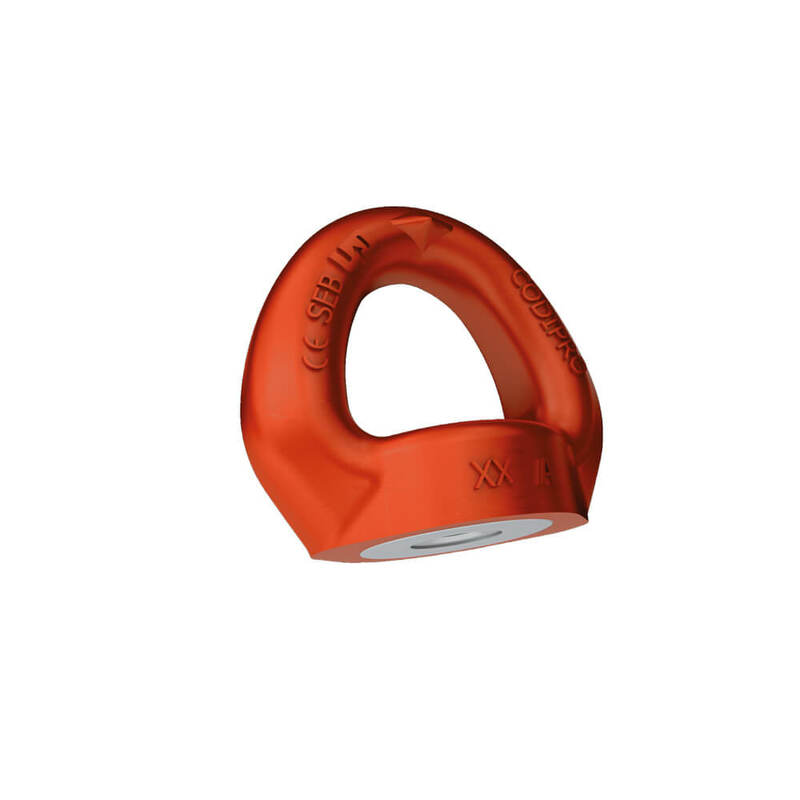 The SEB lifting ring is a single swivel ring. Equipped with 2 pins that always guide it perfectly in the direction of the sling. It is specially designed for lifting, including rotating loads. It consists of a GRADUP steel ring that has a rotating range of 360°. 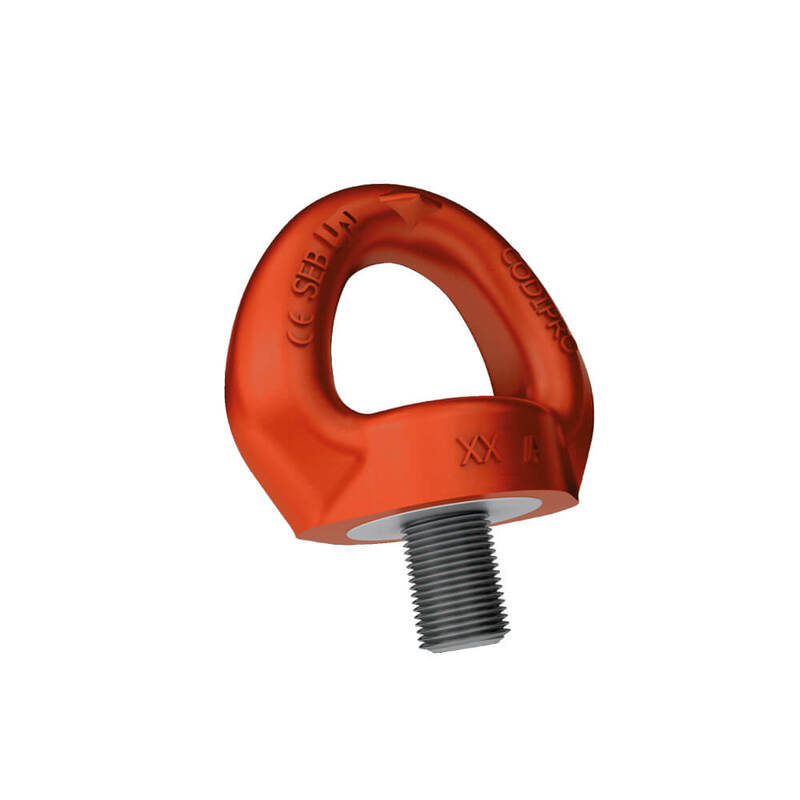 SEB lifting rings have a safety factor of 4 and 5, which means that their breaking load is four or five times greater than the capacity indicated in the technical sheet. The SEB model is available in either male or female versions (FE.SEB). Backed by its design department, CODIPRO is able to design customised lifting rings for specific needs. Each swivel lifting ring is delivered with a user manual and a certificate of compliance. They are ISO 14001 and ISO 9001 certified in keeping with essential safety requirements.